When hawthorn blooms, you know spring’s here. ‘Queen of the May’, or ‘the faerie tree’, as this ancient, often gnarly tree is also known as, looks thornily off-putting throughout the winter - but then: ker-pow…! As May swings round, the tree bursts into a froth of sweet-scented blooms, which have long been symbolically linked in the Pagan tradition with fertility and sexual abandonment. 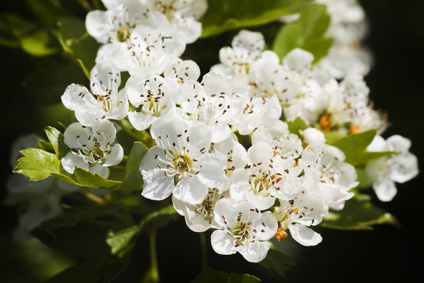 (For the Romans, hawthorn was a symbol of marriage. To the Greeks, it spelled good fortune.) Walk past a hedgerow in full blossom and you’ll breathe the spicy, almond-like scent of the flowers which has been prized for centuries by perfumers. But in modern perfume creation, hawthorn’s recreated synthetically - adding freshness and a sparkle to several well-known creations. When you smell something sweet, powdery, fluffy-little-cloud-like in a perfume, chances are there’s a touch of heliotrope in there. Or do you get a whiff of almond…? Maybe that’s chameleon-like heliotrope, in the blend… A touch of vanilla? That could be heliotrope, too. The use of this gloriously purple-coloured plant in perfumery goes right the way back to Ancient Egypt. Technically, heliotrope can be still extracted by maceration (or through solvent extraction, the modern form of enfleurage), an echo of those times - but today it’s synthetic heliotropin – read about it here – which perfumers rely on. Heliotrope’s teamed with violets and iris for a talcum-powdery, lipstick-esque sweetness – but as you may now have guessed, it’s actually very versatile, becoming almost mouthwatering when used alongside bitter almond, each ingredient turbo-charging the other’s marzipan-ish qualities. Put it with frangipani or vanilla, though, and their mutual sweetness comes out… (If you were to look under a microscope, vanilla essential oil actually contains a little heliotropin in its make-up.) You’ll find heliotrope in many legendary Guerlain fragrances, as well as countless contemporary ‘gourmand’ scents. 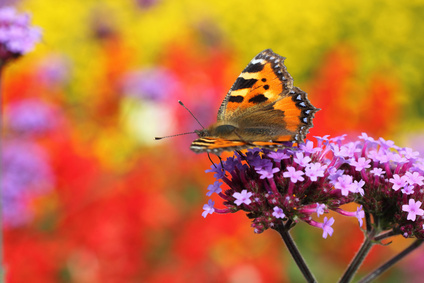 An annual-flowering member of the borage family, also known as ‘cherry pie flower’, you’ll often find Heliotropium arborescens on sale in nurseries and garden centres for summer bedding (and you can create a wonderfully scented display with the plants, which butterflies will also love). Technically, heliotropin – the synthetic ingredient which recreates the heliotrope flower – is a member of the ‘aldehyde’ family of chemicals, and was first discovered in 1885. Here’s the science bit: 1,3-Benzodioxole-5-carbaldehyde, piperonyl aldehyde, 3,4-methylenedioxybenzaldehyde and piperonal are all names for heliotropin. Here’s the non-scientific bit: this synthetic brilliantly copies the powdery, almondy or vanilla-y nuanaces of the beautiful purple, butterfly-magnet heliotrope flower (read about that here). Like quite a few ingredients, though, heliotrope/heliotropin’s use has been reduced and restricted lately by the International Fragrance Association’s regulations (IFRA for short), and some iconic, heavy-on-the-heliotrope fragrances – including L’Artisan Parfumeur’s glorious Jour de Fête – have sadly been discontinued, as a result. 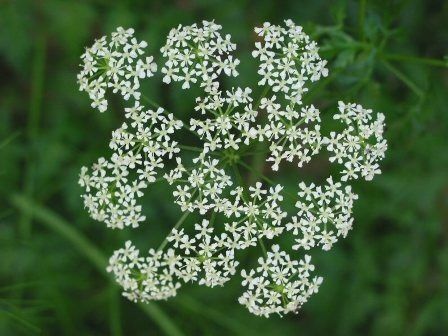 You wouldn’t love the smell of hemlock if you got up-close-and-personal – and you’d be unwise to do that, as it’s a seriously poisonous plant: in Ancient Greece, hemlock was the poison used to execute prisoners (including the renowned philosopher Socrates). Are you a honey-lover…? Then you’ll know that honey comes in so many different varieties, each taking their smell (and colour) from the flowers on which the bees that produce it have feasted. Orange blossom honey. Eucalyptus honey. 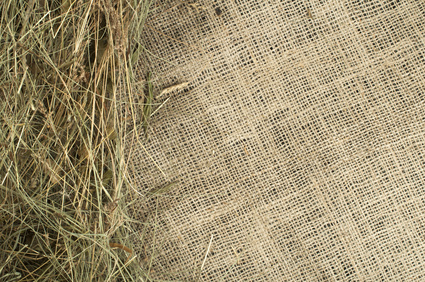 Acacia honey: the variations are almost limitless, sometimes woody, flowery, herbal or even tobacco-y. 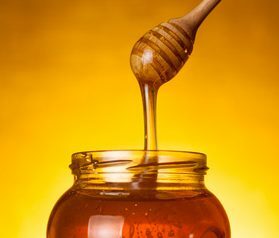 The ancient Arab perfumers were the first to capture honey’s sweetness in perfumery, but today the honey featured is generally a synthetic note – one that’s drizzled sensually over quite a few fragrances in the past few years. It’s over 15,000 years since man first harnessed bees’ busy-ness to produce this natural sweetener. (According to cave paintings in Valencia in Spain, anyway.) Symbolically, honey stands for ‘the sweet life’, prosperity, even immortality; the word itself comes from the ancient Hebrew word for ‘enchant’… When man and bee teamed together, it turned out to be a win-win situation: bees got a safe place to live (and a reliable food source, in the form of flowering crops) – and we got to harvest honey and beeswax in unbelievably impressive quantities: a single beehive can produce up to 200 kilos of honey each season. 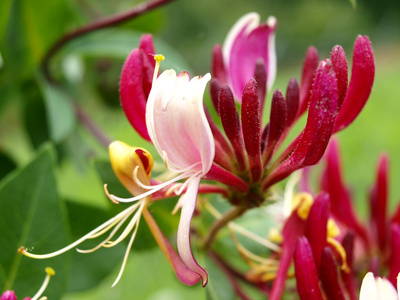 Walk through a garden – especially at dusk – and you’ll smell honeysuckle way before you see it: heady and nectarous, a little like jasmine tinged with vanilla. Intensely green – green as spring itself – the smell of hyacinth develops as the flower blooms. In tight bud, the scent’s lightly, almost ethereally floral; as it opens, the scent becomes pumpingly potent and intoxicating (though still with that damp greenness). 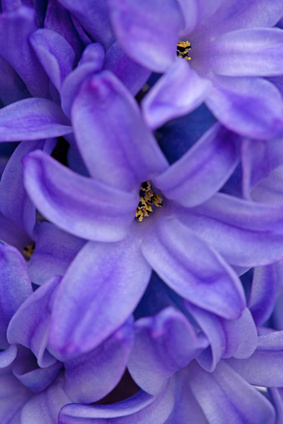 It’s widely used in white florals, and scents seeking to capture springtime-in-a-bottle, but because real hyacinth oil – produced by a process of extraction – is heart-stoppingly expensive, can’t-tell-it-from-real synthetic hyacinth notes are what perfumers turn to, nowadays.